Please support our supporters when planning your trip to Challis! Our unique location and the fact that we are also outdoor enthusiasts give us intimate knowledge of the sporting industry and of the products we sell. Whether it’s a day trip or a week-long wilderness trek, we can outfit you to make your trip successful. By the Bent Rod. Full hookups within walking distance of the Park. Homestyle cooking in the heart of Idaho. We are all about good homestyle food, good friends, and good fun! The restaurant features a hearty menu highlighted by their delicious hand-cut steaks, as well as a full service bar. The motel houses eighteen rooms and offers the amenities of home for a reasonable price. After a long day of pleasure or work you can come back to the motel and enjoy our hot tubs. We offer comfortable accommodations, at an affordable price, with a full service restaurant on site. 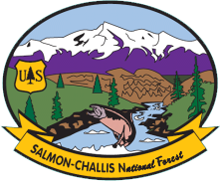 Ample camping on BLM land or in the Salmon-Challis National Forest is also available for those heartier soles. The Challis Hot Springs is a showcase facility in the Round Valley with classic hot mineral pools to soak in before and after your race. 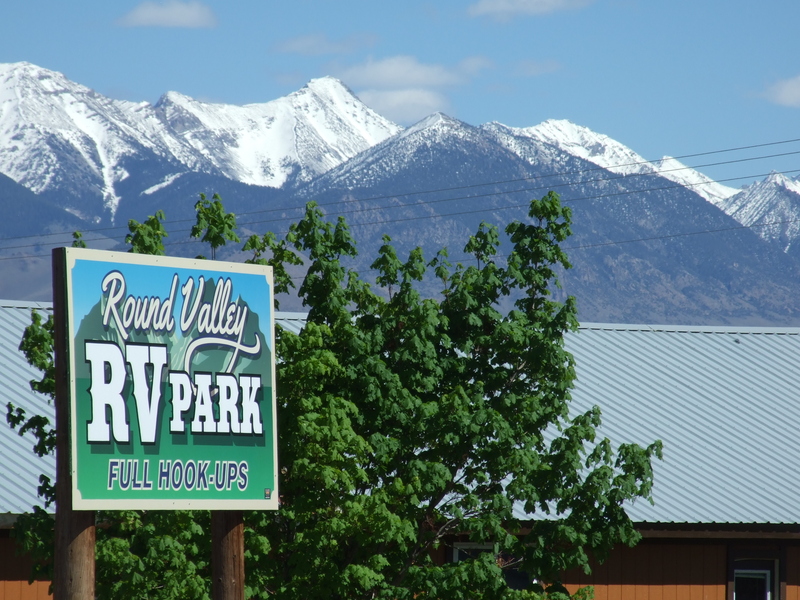 Only ~10 minutes out of Challis, you can easily stay in the Challis Hot Springs campground or bed and breakfast. Bayhorse Ghost Town is an 1880s era ghost town. The Bayhorse Mines are silent now but a trip to the area will help you understand the trials and tribulations of this historic site. Bayhorse Town site is open for the summer season through Oct 15th. From Challis, drive two miles south on Hwy 93 to Hwy 75. Turn left and head west on 75 for 8 miles. Turn right on Bayhorse Road and go 3.6 miles to the Bayhorse Townsite. Bayhorse Lake 8600-foot elevation. 7 campsites and a picnic site are between Bayhorse Lake and Little Bayhorse Lake. Fishing and canoeing are options on both high mountain lakes. Several hiking trails branch out into the surrounding area, and one hiking trail connects the lakes. Boat ramp and launch for non-motorized boats are available at both lakes, as well as 2 docks. ATV trails are in the area. A historic brickyard is at Little Bayhorse Lake. A dispersed tent camping area at Little Bayhorse Lake accommodates overflow campers. 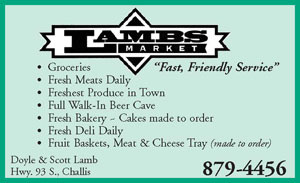 Location: From Challis, go 10 miles south on US 93 and ID 75, then west 7 miles on Forest Road 051. Use caution on the dirt road – it is narrow and steep. The Custer Motorway Adventure Road is a 46-mile back country tour which follows an historic wagon road from Challis to the gold mining towns of Custer and Bonanza over an 8,800-foot mountain pass. From Challis, turn west at MP 246.6 , turn west onto Main St and go 1 mi; Main Street becomes Garden Creek Rd; go west 4.4 mi; turn right at the fork to FR 070; drive 30 mi; turn left on FR 013 (Yankee Fork Rd) to Hwy 75 at Sunbeam (MP 202.4). The Lombard Trail, a trail dedicated to Idaho Parks & Recreation Board Member Ernest Lombard in September 2010, is an ATV trail that takes you from the Land of the Yankee Fork State Park headquarters in Challis over Blue Mountain to the old mining ghost town of Bayhorse. The views of the Challis area and surrounding mountains becomes more impressive as you gain elevation. After going over the first saddle at Blue Mountain, the trail follows a number of ridgelines over to Keystone Gulch. After descending into Bayhorse, you can explore the Bayhorse Trail and the historic mining area, or many other trails. The Custer Historic Mining Town resides in the Land of the Yankee Fork Historic Area. Numerous buildings from the mining era are on display with interpretive programs and a gift shop. The Land of the Yankee Fork State Park and National Forest Historic Area brings to life Idaho’s frontier mining history. Managed by the Challis National Forest and the Idaho Department of Parks and Recreation, the Yankee Fork Historical Area provides unique historical interpretation and numerous recreational opportunities.